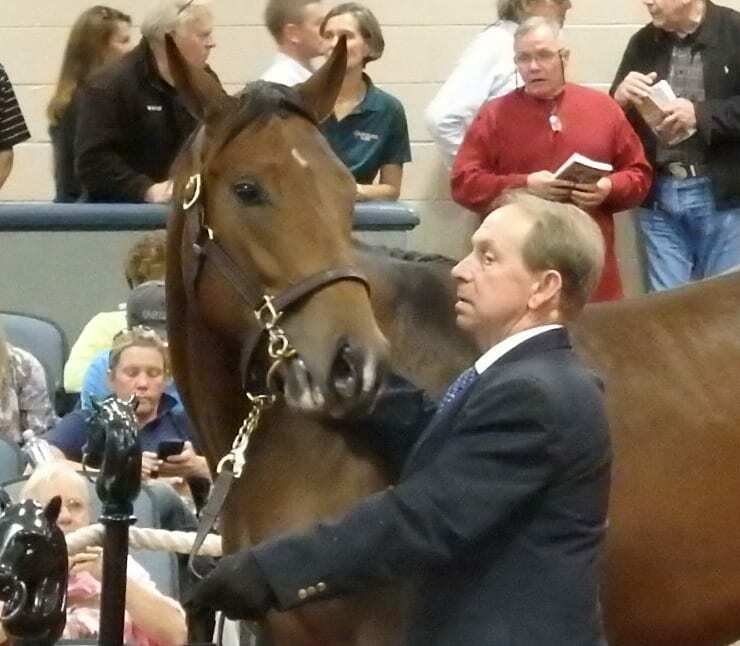 A yearling checks out the sale scene in the October yearling sale. Photo by The Racing Biz. Fasig-Tipton’s Midlantic division has catalogued 167 head for the Midlantic Winter Mixed Sale to be held Sunday, January 31. The single-session sale will begin at 11:00 a.m. The sale will kick off with a selection of 74 broodmares and broodmare prospects, to be followed by 65 yearlings of 2016. The session will close with 28 racing/broodmare prospects and horses of racing age. The Midlantic Winter Mixed Sale catalogue may now be reviewed online at www.fasigtipton.com. Printed catalogues will be mailed January 6 and will be available from all Fasig-Tipton offices the week of January 11. The sale has been moved back a month from its typical December date.